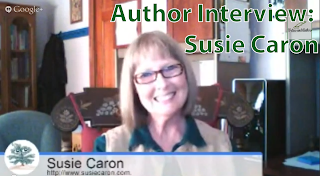 This is the first in a series of author interviews for the Writers and Author TV channel. In this video I chat with author +Susie Caron about her children's book series 'Between You and Me'. Susie E. Caron, private practice psychotherapist, speaker and author of Twee', developed her "Between You and Me" series through years of experience working with children and families. Susie taught elementary school and adult education. She also owned and instructed in a horsemanship riding school. Susie closed the school when Fibromyalgia interrupted her work. Undaunted, she returned to graduate school to fulfill an earlier dream. In 2002, Susie began her career as a psychotherapist treating children and families in northwestern Vermont. Susie's writing began early in childhood and continued throughout her life. However, multiple life events, which included a late diagnosis of Rheumatoid Arthritis, put off her publishing debut. In 2013, Susie released her first book, the allegory, Twee', in picture book format. Susie states, "A well illustrated allegory offers numerous interpretations for all ages." She adds, "In all my work, I create an awareness, that how we know ourselves impacts the way we relate to others and to our purpose." Susie is happily married and lives in Vermont with her husband, two riding horses and one affectionate, bouncy Boxer.